Evgenia Epshtein was born in Sverdlovsk (now Yekaterinburg), Russia. She began her violin studies at the age of 6 and completed the High School for Gifted Musicians with Vladimir Milshtein. Evgenia immigrated to Israel in 1990. There she studied with Arthur Zisserman, Yair Kless and Irena Svetlova at the Tel Aviv Academy of Music and with Benzion Shamir at the Rotterdam Royal Academy, where she received her Master Degree. During her studies at the Academy she won several prizes at the violin and chamber music competitions and took part in the master classes of Isaac Stern, Henry Mayer and Zakhar Bron. As co-founder of the “Aviv” String Quartet, Evgenia Epshtein is a winner of the 3rd Melbourne International Chamber Music Competition (1999, Grand Prix and 4 Special Prizes), Bordeaux String Quartet Competition (2003), Charles Hennen Chamber Music Competition (1999, Netherlands). Other top prizes include “Schubert and Modernity” Competition (2003, Graz, Austria, 2nd Prize and Special Schubert Prize), and Prague Spring Quartets Competition (1998, 2nd Prize). As a member of Aviv she was also proclaimed as the “Best Young Ensemble” by the Culture Ministries of Germany (1999) and Israel (2000), and received the special awards for the Best Musical Ensemble in Israel (2003, 2008). As a soloist she performed with Reconsil Sinfonieta Vienna, Bucharest philharmonic orchestra, Zadar chamber orchestra, Split symphony orchestra. And several Israeli orchestras, such as Ashdod symphony orchestra, Ashkelon chamber orchestra, Tel Aviv soloists, Ramat Gan symphony orchestra. Recitals in all major Israeli venues and radio broadcasts. She also performed in Stockholm, Paris, Toronto, Ottawa, Guadalajara, Lagos, Vienna, Zagreb, Varazdin, Split,Koper, Prague, London. Evgenia is a Docent at the Academy of Arts of Split, Croatia. Professor of violin since 2012. Evgenia Epshtein taught as an assistant of violin professor Mr. Benzion Shamir at the Rotterdam Royal Academy. She has given master classes in Los Angeles University of Southern California, Salt Lake City Gifted Music School 2010, Mexico Central University of Arts at 2009, Guadalajara and Academia de musica de Lagos, Portugal, 2009. In 2008, 2009 , 2012 she was invited as a chamber music teacher at the Haydn Musical Academy in Vienna. In 2009 Evgenia was invited as a jury member for the 4th International Haydn chamber music Competition in Vienna. In the summer of 2011 Evgenia taught at the International Summer School Upbeat in Croatia, ISA International Summer academy in Austria and Masters de Pontlevoy in France. In Israel she is a violin and orchestral performance guest teacher in the Raanana Music Centre and Ramat Gan Conservatory. 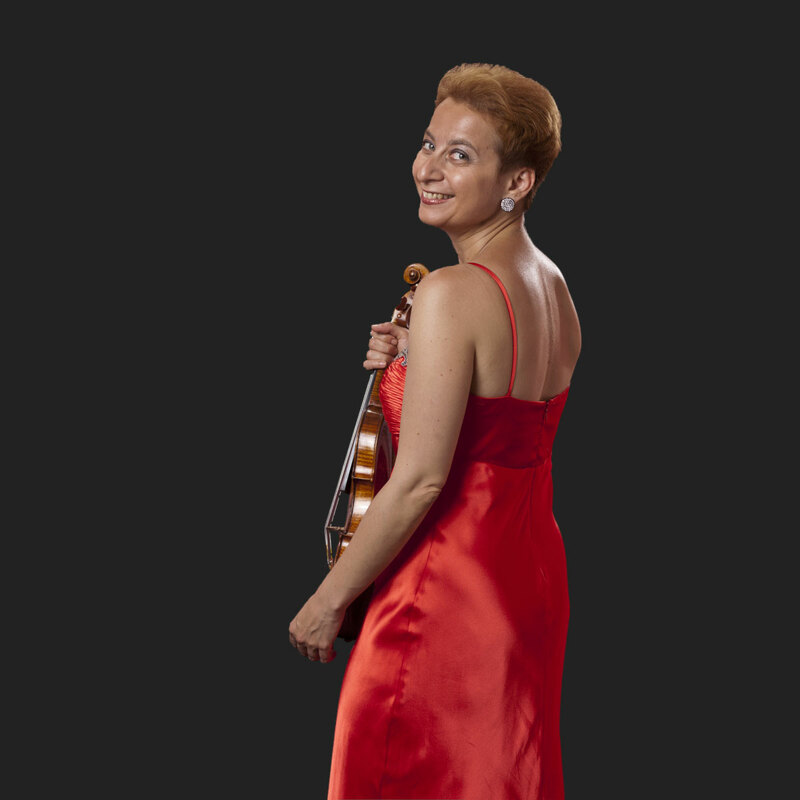 In addition, Evgenia is frequently invited to teach at the prestigious “Keshet Eilon” violin master course. As a member of the Aviv Quartet she has given master classes in USA, Canada, South Africa, Sweden, France and Israel. In June 2012 Evgenia Epshtein is giving masterclasses in Haydn institute of music. Vienna. And in Graz school of Music, Austria. In June 2013 Evgenia was invited to teach chamber music classes at Prague academy of music. August 2012 she was teaching at Kastela violin mastercourse, Croatia. In Augustt 2012. 2013, 2014 – ISA chamber music academy-Austria, where she always perform with members of faculty at several chamber music events. Last year she went to teach in Schanghai music school and academy in China. And in Slovenia Koper music shool. Evgenia Epshtein is a founder of Summer school “Summer con spirito” in Trogir-Croatia, where she was holding violin and chamber music lessons during a week in August 2013, 2014, 2015. Also she is a founder of Winter string school in Vinkovci-Croata-“Winter con spirito”. As an orchestra musician, E. Epshtien was working as a concertmaster in Zagreb chamber orchestra and “Splitski virtuosi” chamber orchestra. As well concertmaster of Young Israel Philharmonic Orchestra (1995-1997), the concertmaster of the second violin section of the Kibbutz Chamber Orchestra (1998), and was a member of “I Fiamini” (Belgium), member of Israeli chamber orchestra.